Stourbridge-based agency Top Banana has appointed Julie Wilkinson to lead its growing production team. Wilkinson has been recruited to the new post of head of production. Her remit is to develop the production department, deliver client projects on time, to budget and to a high standard. Top Banana director Nick Terry said: "This new role will allow us to ensure our clients receive creative, and high quality productions. Julie is bringing a wealth of sector experience to the table and will play a pivotal role in driving the production team forward and growing the department." Wilkinson has worked in the industry for 11 years. 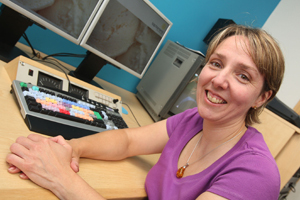 She was previously head of production for independent television training production company Einstein Network, where she worked on projects for HSBC, EMAP and Monster.